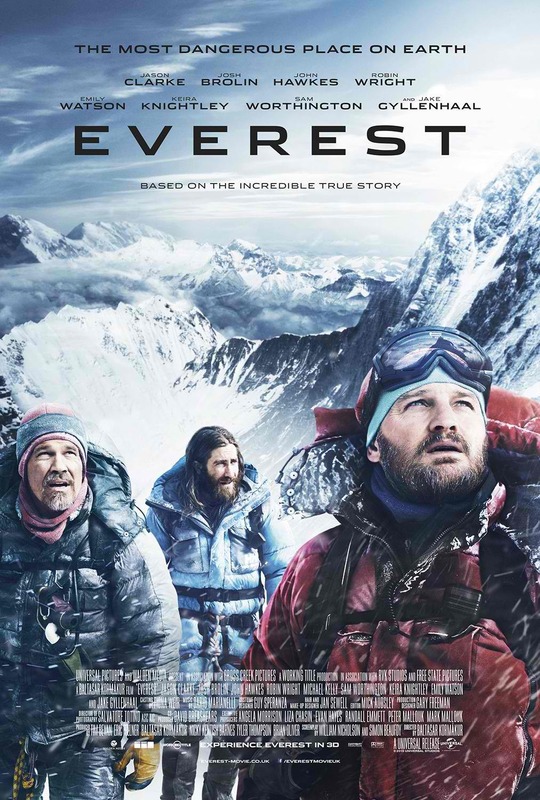 Inspired by the incredible events surrounding an attempt to reach the summit of the world’s highest mountain, “Everest” documents the awe-inspiring journey of two different expeditions challenged beyond their limits by one of the fiercest snowstorms ever encountered by mankind. Their mettle tested by the harshest elements found on the planet, the climbers will face nearly impossible obstacles as a lifelong obsession becomes a breathtaking struggle for survival. The epic adventure stars Jason Clarke (“Terminator Genisys”), Josh Brolin (“Gangster Squad”), John Hawkes (“Lincoln”) and Jake Gyllenhaal (“Prince of Persia”). They are joined by Sam Worthington (“Avatar”), Robin Wright (“The Girl with the Dragon Tattoo”), Emily Watson (“The Water Horse”) and Keira Knightley (“Pirates of the Caribbean”). 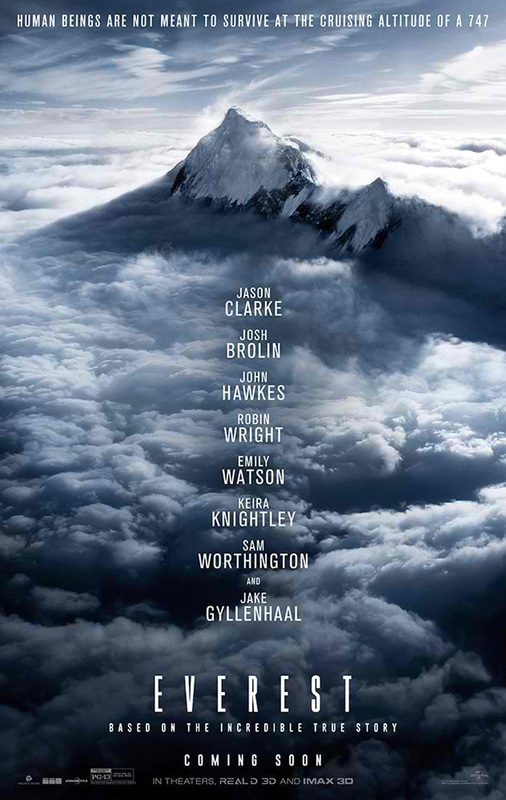 “Everest” is directed by Baltasar Kormákur (“2 Guns,” “Contraband”) and produced by Working Title's Tim Bevan and Eric Fellner, Cross Creek's Brian Oliver and Tyler Thompson, as well as Nicky Kentish Barnes (“About Time”). The film is adapted for the screen by Mark Medoff (“Children of a Lesser God”) and Oscar winner Simon Beaufoy (“Slumdog Millionaire”).